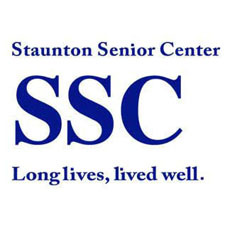 Last Thursday Shelly Lam from Kings Daughters Community Health and Rehabilitation Center and Scott Clark with Augusta Nursing and Rehabilitation Center supplied Super Bowl savvy snacks for Staunton Senior Center members. Scott and Shelley had in tow all of the ingredients to prepare Southwestern Layered Bean Dip and Chocolate Crunch as well as cut veggies with another flavorful dip. They also provided trivia questions and prizes, so their presentation was interesting, informative, and fun as well as yummy! After lunch, members were introduced to Anne Paulus, a young lady from the area who entertained with a wonderful fairy tale as well as a story in which she encouraged members to become involved by calling out words which she then wove into a very imaginative yarn! Then members’ creative juices began flowing as they created windows out of paper which revealed views which they drew under the guidance of Anne, who enjoyed the experience just as much if not more than the seniors! We are looking forward to having this awesome storyteller back in April for more fun and surprises!